**Schedule may change due to a minimum requirement of 4 passengers, or due to weather and sea conditions, please re-confirm for your trip at least 24hrs before. *Reserve a set time that is convenient for your party between 6am and 6pm. (Subject to availability). 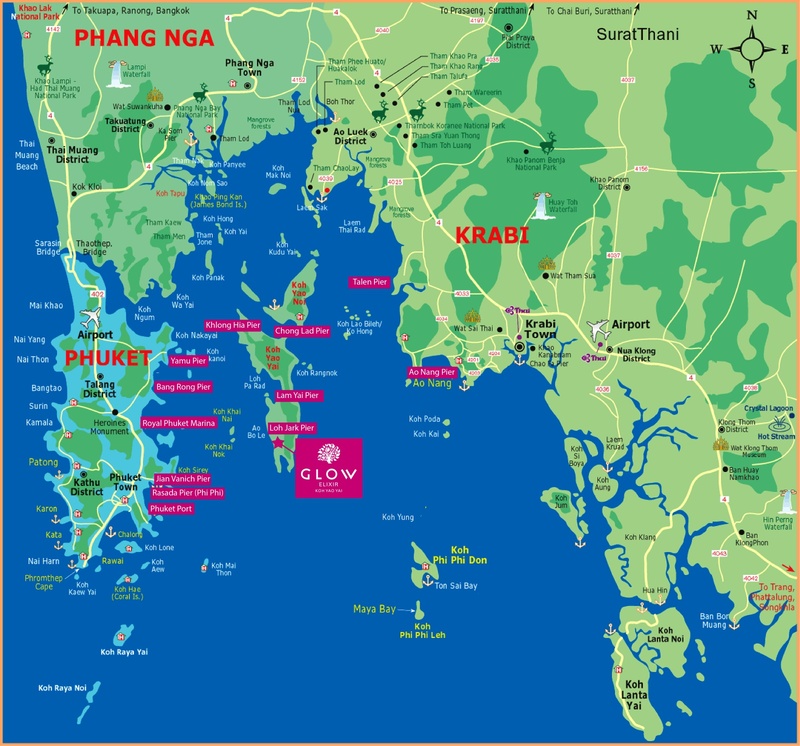 GLOW Elixir Koh Yao Yai is situated 15 kilometers east of Phuket, and 20 kilometers west of Krabi. Ideally, the sea transit time is 30 minutes by speedboat from Phuket. Please note the time can vary depending on the water transportation choice, weather conditions and tide level. Public speedboat transfers arrive at the island pier. Passengers on the GLOW Elixir speedboat will arrive directly to the resort beach, weather and tide levels permitting. If you arrive at low tide, the boat with stop at the local pier where our Resort Host will greet you and transport you to the resort. Schedules for public water transportation can be found in the link below.